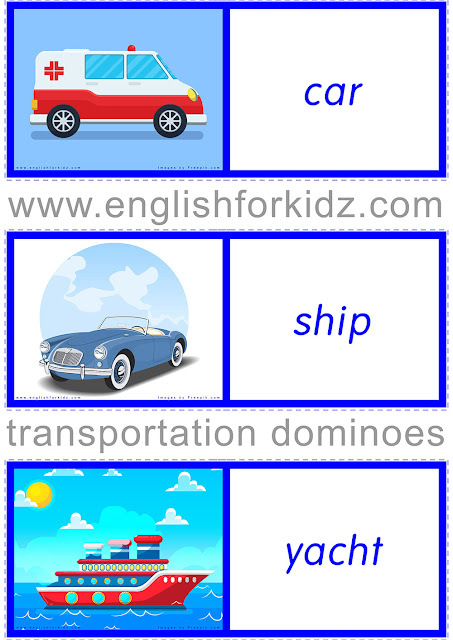 There is nothing better for memorizing vocabulary than a game. 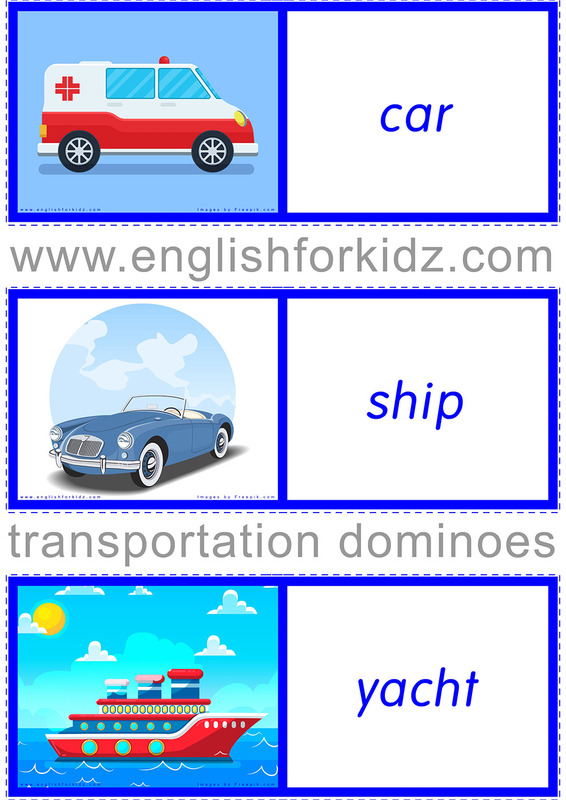 I love using printable games when teaching English to preschoolers and elementary school kids as playing is a natural way to learn things for young children. 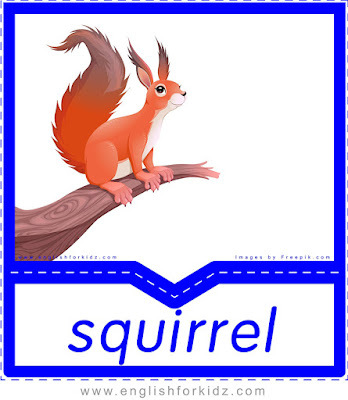 I try to design games for for every topic I teach. Dominoes are one of my favorite games. 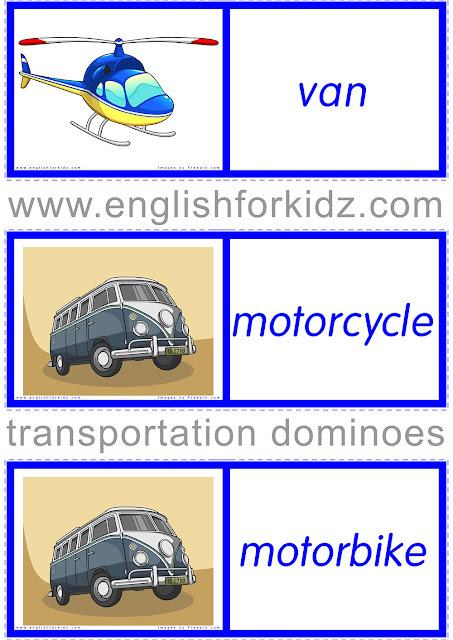 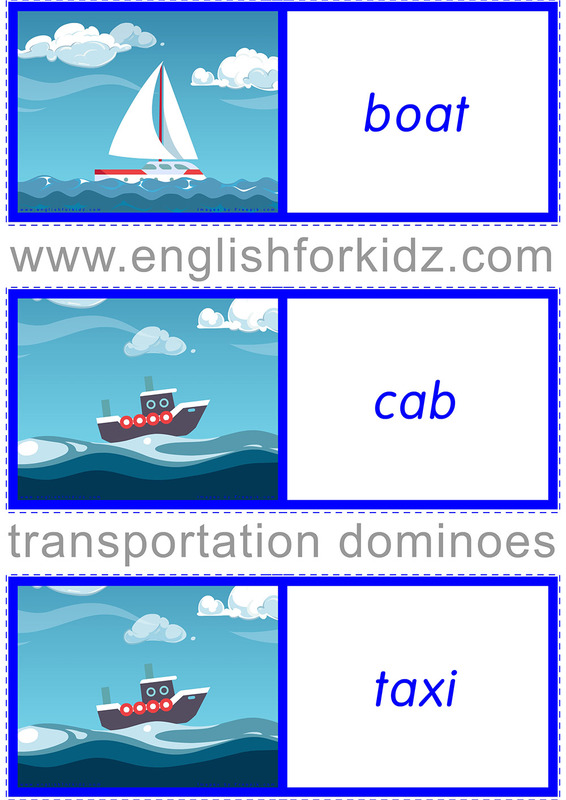 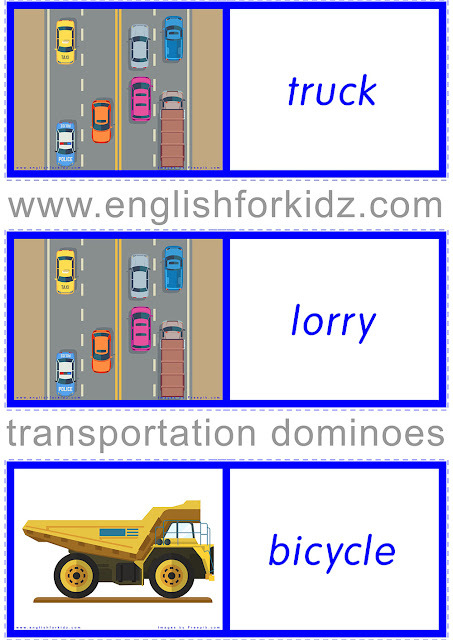 So today I’d like to share my printable domino cards I use to help kids memorize the transportation vocabulary. 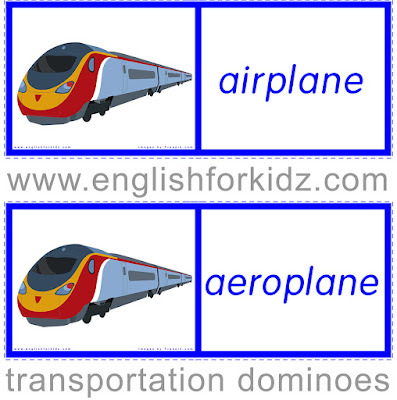 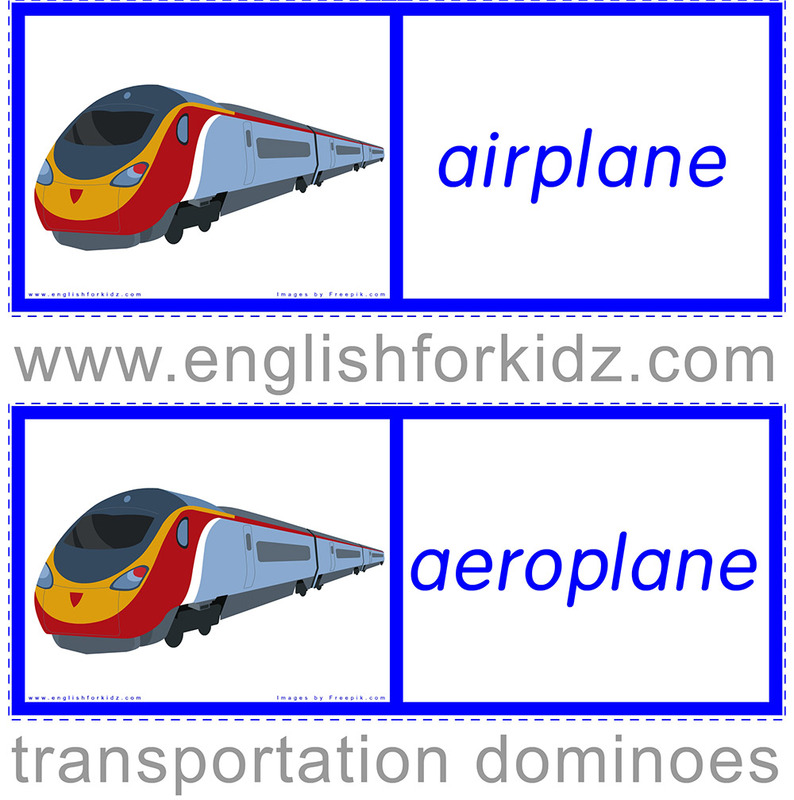 The dominoes feature the same pictures I used to design the transportation flashcards. 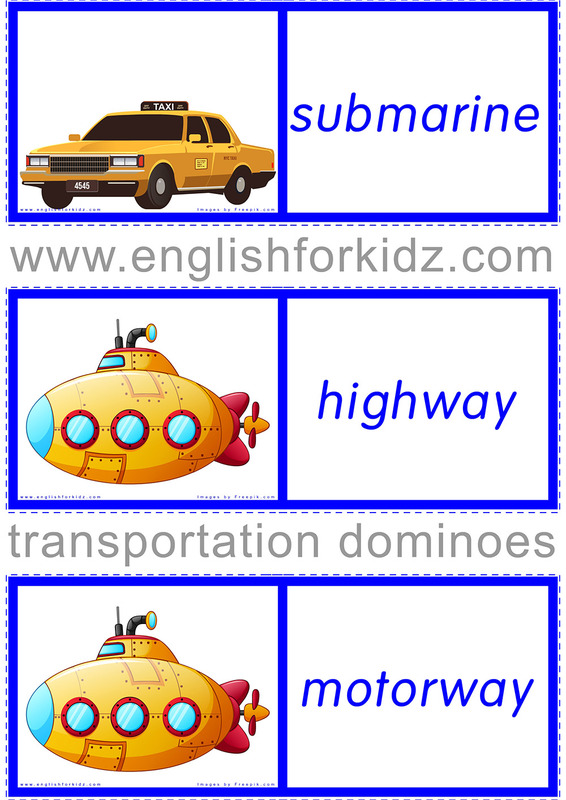 The cards look colorful enough to draw kids’ attention and involve them in the game that helps students consolidate the transportation vocabulary. The transportation dominoes belong to my printable ESL transportation kit that comprises worksheets, flashcards and a bingo game. 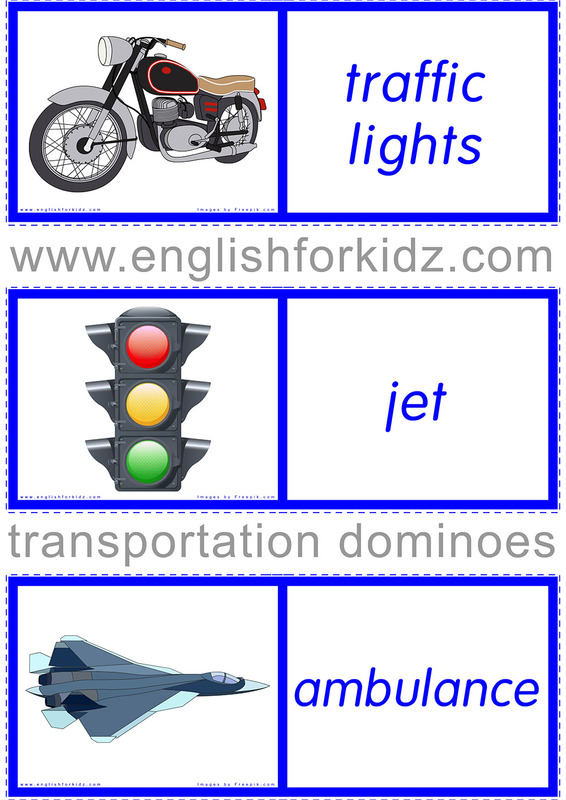 Educators are welcome to either download these pritables from my blog or purchase the premium version in high resolution printer-ready PDF documents that includes both American and British English variations of some worksheets.